The Geneva Seal (Poinçon de Genève in French) is the official seal of the City and the Canton of Geneva, Switzerland. When a variation of the seal is applied to a wristwatch movement, it reflects the movement was complying to the high quality standard set by the Geneva School of Horology. Although the "standardization" is concerned mainly with the finishing and decorations of the movement, it is considered as a high accolade in the industry. Patek Philippe, Vacheron Constantin and a few other brands are very proud to have their watches to be stamped with the Geneva Seal. 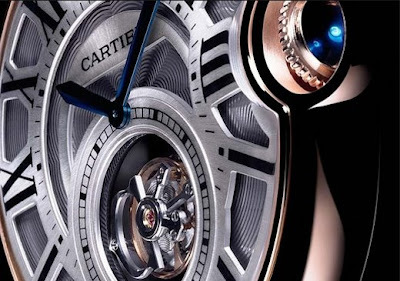 Lately, Cartier had also joined this "accreditation" by selling the Ballon Bleu de Cartier Flying Tourbillion. The Ballon Bleu Flying Tourbillion is the first watchmaking creation of her which is qaulified to have Geneva Seal marked onto it's movement. Also, it helps to put Cartier into the very fine selected circle of manufacturers that can lay claim to this "distinction". Not surprisingly, Cartier does not create the tourbillon movement (9452 MC) by themselves. The movement is actually the very first calibre which comes from the Roger Dubuis facilities after it had been acquired by the Richemont Group in Sept 2007 (Sadly, a large part of the former Roger Dubuis Manufacture will be reserved for Cartier). 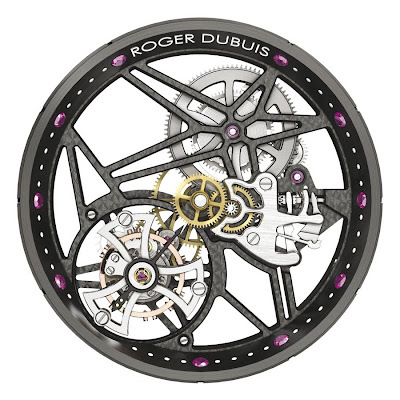 The whole development of the 9452 MC calibre was carried out by the Manufacture Genevoise de Haute Horlogerie (the Roger Dubuis' industrial facilities) and its staff, i.e. how much of work did Cartier really need to do by themselves in achieving the hallmark. In a glance, I believe Cartier 9452 MC was developed from Roger Dubuis RD 02 SQ3. Unfortunately, no proper information is made available from the corporate websites. 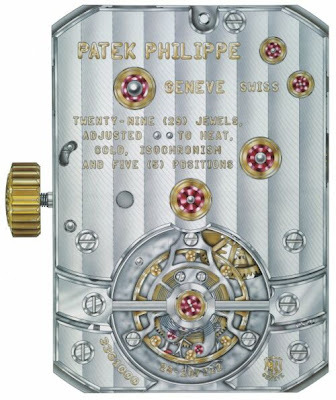 In protesting against Cartier's admittance, rumors surfaced in April that Patek Philippe would no longer carry the Geneva Seal for their future models.